I will not be posting any new blog posts here, and soon, everything will be available on the new blog site. I want to share with you a strange behavior that happened that day when you uninstall WSUS and SUP from a server and then you try to install them again. Say for example that you have a dedicated server running WSUS and SUP on it, and you got to a problem that you could not solve, and you decided to remove WSUS and SUP and then install them again to solve the problem. It can happen. The moment you remove WSUS and SUP, at the Config Manager console, all updates will appear as expired. The strange thing is that when you install WSUS and SUP again, the synchrronization between your SCCM server and WSUS/SUP will work without errors but nothing get synched. No single error. Uninstall SUP and confirmed from the supsetup.log to that it’s been uninstalled. Run “select * from WSUSserverlocations” and confirm that it has removed entry for SCA. Backup/Export HKLM\SOFTWARE\Microsoft\SMS\Components\SMS_WSUS_SYNC_MANAGER and renamed it. Install SUP and again get the SUPSetup.log to verify. New HKLM\SOFTWARE\Microsoft\SMS\Components\SMS_WSUS_SYNC_MANAGER registry key created automatically. I want to start this part by talking about the rule of abstraction. Again, it is best practice to not hard-code any values inside your workflow code. Your workflow code should read at execution time all needed configuration values from external source. This is what we talked about in the previous part of workflow designer tips. When you assign a task, you usually assign it to user or a group of users. When you send email notification, you send it to a mail enabled user or group. First tip is to avoid working with users and instead work with groups. This is the first level of abstraction. When you work with groups, you can externally modify the membership of the group and the magic happens right away. Even if you are assigning a task for a single user, you can assign it to a group that contains only that user. Later when that user leave the company and there is a need to change the task assignee, you can just change the membership of that group. Subscriber: New Hire Notification Group. Subscriber: New Hire First Approval Group. You can see that we talked in the previous part about the Configuration List and now we are talking about Workflow People list. The main difference between them is the data type of the columns. The Configuration list has two single line of text columns, while the Workflow People has one column with single line of text column, and the other is People of Group column. Together, these two lists will give you enough abstraction to remove any hard-coding from your workflow code, and makes your workflow code safe from direct changes. We all know that Microsoft is not investing in TMG and UAG the way it did before and those products are going out of support soon. On the other hand, information worker are now using Laptops and devices all the time and from everywhere. The way i see it is that end users now have their BYOD devices, have a cool looking apps, and they want to use those cool apps to connect to corporate data without the need to RDP into the corporate network for example and use VDI or RDS Session Host experience. On the other hand, while VPN and DirectAccess are great technologies for remote access, for IT administrators, those type of technologies will let the user IN or OUT. In other words, VPN solutions will either let you IN or OUT and it is hard to control where the user can go once he is IN. Microsoft came with a new way for remote access called “Conditional Access”, and added flexible authentication methods to the solution. The solution is called “Web Application Proxy”. Web Application Proxy (a.k.a WAP) is a new Windows Server 2012 R2 role service under RRAS server role, integrated into Windows Server Manager and RRAS admin experience. Microsoft now announced another new category, which is conditional access reverse proxy called “Web Application Proxy”. This is not a new technology for Microsoft as they have TMG and UAG before. Whats new about this Web Application Proxy, is its unique interaction with Active Directory Federation Services and devices. Web Application Proxy is part of Windows Server and not a separate installation like TMG or UAG. Web Application Proxy is usually located in your corporate DMZ with one network card or two network cars. You can choose not to join it to your domain if you like, but if you want to use Kerberos constrained delegation method, then you have to join it to the domain. 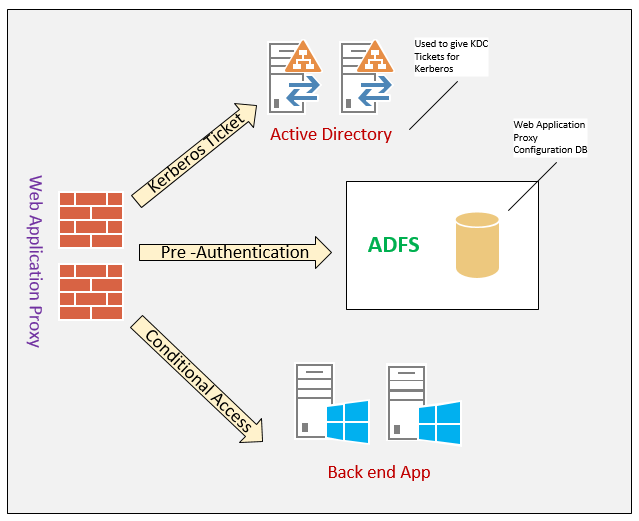 Pre-Authentication: WAP uses ADFS for authentication. We have talked in part one that the workflow logs can be classified as Audit Logs or Debug Logs. Audit logs have long retention and are used by auditors and security teams as a proof of a controlled process, while Debug logs have low retention and are used by the people maintaining the workflow for troubleshooting purposes and to track the execution state of the workflow at different execution times. SharePoint Workflow Designer gives you a built-in way to through some log data to a history list using an action (Log to History List). I am not fan at all of using this way of logging for different reason. Let us talk a little bit about the Log to History List and about the History list itself. By default, there is a hidden list that get created by default when you first create your first workflow in a site called History List. You can use this history list for different workflows or you can choose or create different history list for each workflow. One of things I do not like in such history lists is that it accept only single string at a time. There is no other columns in that history list that you can benefit from. Not that this is a big limitation, but I do not like to be restricted with only sending a string at a time. It makes it hard to filter and analyze the log data as I will described later because of the lack of other columns. Second thing is that a workflow can be associated with only one history list to be used for logging. Take this example: You have a workflow that calls a web service, and you want to log the status code or perhaps the returned value from that web service call. The only option you have here is to use the Log to History List. You also want to log other events during the workflow execution. Now, someone came to you and ask you to give a report of all web service calls and their return code for analysis. You have to go and open that hidden history list from SharePoint designer, and then what you will see? You will see a lot of lines without any ability to filter the logs related to the web service calls and to track them back to the list item that cause the service to start. My point is it is very hard to look at the history list and track certain events, or do any kind of filtering. Also we talked about two types of logs, audit and debug logs. Your only option here is to use the Log to History List and through logs related to auditing and other log entries (debug data) for you to troubleshoot the workflow. Now when the auditors ask you to extract a report for a certain item, the logs are mixed between audit and debug. Also, you may want to keep log entries used for auditing for longer time than those used for debugging, which you cannot do in this case because both are saved in the same history list. Things become more interesting when you read about the “Workflow Auto Cleanup“. It is not best practice to disable this job or change its duration by the way. This job will remove the association of the workflow tasks and history data after 60 days by default. You can read more about this here. But what about the need to keep audit data for one year for example?. What will do then? People will disable this timer job, but Microsoft keep saying it will affect the performance of the product or something. If Microsoft implemented this timer job then there is a reason. I think for a professional workflows, especially those that requires auditing, you should not use the built in way (Log to History List). I will describe the way I prefer in the next part. If you are responsible of writing SharePoint workflows using the SharePoint designer, I want to share with you a small tip when it comes to using the SharePoint designer console. Usually, you have SharePoint servers and perhaps Workflow Manager in your data center, and you may have installed the SharePoint designer at your machine and connect remotely in order to start coding workflows. What I do not like in this case is the dependency on the link. Sometimes you work remotely from a hotel room connecting to unreliable wireless network, connecting VPN to your corporate network, opening the SharePoint designer console from your machine and opening a very big workflow definition code, do some modifications and hitting Publish. You do not know what will happen if the network connectivity is not reliable. What I prefer is to have a Remote Desktop server in the data center to do administrative tasks for different thing. You can then install the SharePoint designer in that remote desktop server, and then you can log remotely to that server and open the SharePoint designer from there. That way, when you hit Publish workflow, the changes will be pushed from the terminal server to that SharePoint farm without depending on any unreliable connection. Furthermore, I also have exported the SharePoint designer as a remote web app and copy it to my desktop. Whenever I want to use the designer, I just open the RDP file in my machine, which will connect using RDP to the RDS server in the data-center and give me a great experience. Even if you connect from your hotel room, connecing via unreliable wireless network via VPN to your corporate network, you will RDP to that RDS server, use the SharePoint designer from there, open your big workflow code, do your changes, hitting Publish, and you do not worry about anything. 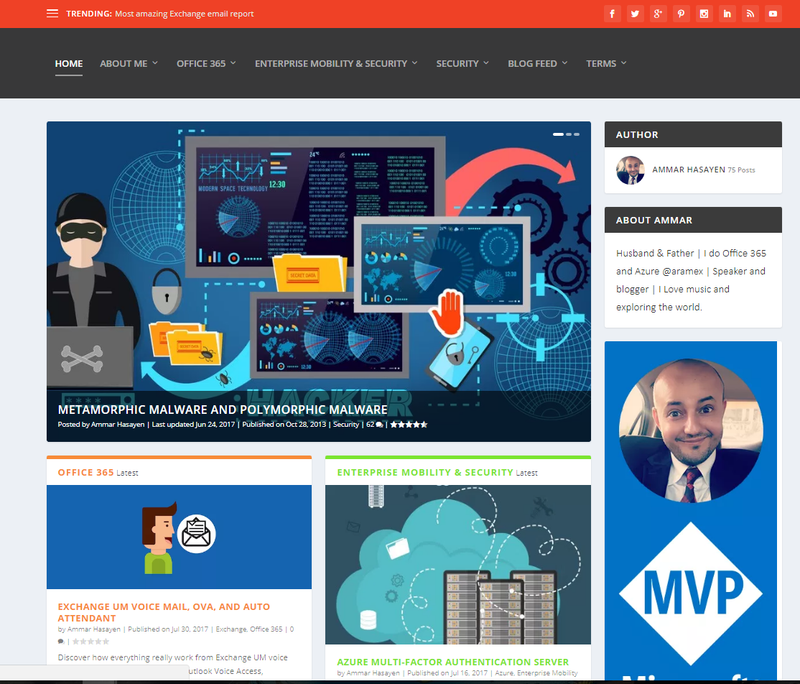 In fact, you can close your VPN connection and the background, the SharePoint designer will take its time publishing your workflow changes without any networking issues. After planning the whole process with the right people, sit and start drawing flow charts of how the workflow will act and behave. This visualization will help you a lot when you start coding and testing your workflow implementation. Sometime your solution will require couple of additional lists to host some data. Try to write down the columns names and types for such lists from the beginning and adopt a naming convention if possible. When you start writing your workflow code, do testing along the way for each step. My tip here is to test your workflow process with a normal user account and not with your admin or any high privileged account. I cannot emphasis how important this is. I worked on a complex workflow once and everything worked fine as I was testing with my admin account. As the deadline become closer, I asked someone to test the workflow process with his account, and NOTHING worked. I figured out what was the problem later of course. The point here is never to test with your account or any privileged account. This is also a very good thing to do and it is a must in the development world. If you are coding a simple workflow for a list or document library, then try to create a test list or document library and code your workflow on that test list/library first. This becomes handy when you later want to do enhancements or change something on the workflow after people start using it for long time. You will be afraid to change a working and live workflow because you cannot know if your change will affect current working users. Instead, if you have a test environment, you could introduce your change there, test it, and then carry it safely to the production list/library. I worked once on a solution that requires a separate sub-site, with many lists and workflows. So I created a test sub-site, create all lists and workflows there, I then did my whole testing there, and once I confirmed everything is working fine, I started to create the live sub-site with the same lists and workflows I had in the test one. Later on, when I want to introduce new changes, I would test them in the test sub-site first so that I do not interrupt the live environment. Sometimes, when you did bad changes, the whole workflow won’t run and people start calling you. So test your workflow changes in test environment first. One of my favorites features in SharePoint Designer is the ability to add notes for you and others to later open the workflow code and understand what is happening. You can add comments inside SharePoint Designer by adding an action called Add a Comment. It is always good practice to make sure to add comments that describes what you are doing inside your code. When writing workflows using SharePoint Designer, you usually need to create many variables. Make sure that all your variables have names that are descriptive. Adopt naming convention for your variables. If you are using web service calls, try to prefix the variables needed for the web service with something like (WebService…). When you create an item in a list, workflow designer will automatically create a local variable of type GUID called (create) that represents the GUID of the item created by the workflow designer on that list. What I usually do is to create a variable with type GUID, and called it (MyReports GUID) and use it instead of the automatically created on. I then go and delete the variable called (Create). This way, my variables will be more descriptive. Sometime, when you are beginner in writing workflows using SharePoint designer, you will end up with many variables that are created and not used inside your code. Keep an eye on those orphan variables and delete them as soon as you can so that you do not confuse yourself. This will make it easier for you and others to review your code later and get an idea about what’s going on. Recently, I was working on interesting case. Someone told me that workflows in SharePoint are all suspended. The environment is SharePoint 2013 and separate Workflow Manager in different server. HTTP 500 ID3242: The security token could not be authenticated or authorized.. bla bla bla. I restarted every single SharePoint server, i even restarted the workflow manager server, go through event viewer on all servers without any luck. I checked if there are any new windows updates installed, and the answer is no. The SharePoint farm is running Nov 2015 CU by the way. Many people are talking about making sure that the Claims to Windows Token Service is started in SharePoint server. Well it is started. PartialChain: A certificate chain could not be built to a trusted root authority. RevocationStatusUnknown: The revocation function was unable to check revocation for the certificate. OfflineRevocation: The revocation function was unable to check revocation because the revocation server was offline. All these three SharePoint certificates when you open them, it shows that it cannot verify the identity of the certificate. This means that the SharePoint cannot locate the trusted root certificate for those three certificates. SharePoint has a PKI Root Certificate called (SharePoint Root Authority). All what I need is to locate it and then import it to the Trusted Root Certification Authority node in the Certificate Console that I am already opening. That’s it. Everything start working fine after that. I had to import that trusted root certificate to all my SharePoint servers’s Trusted Root Authority node. 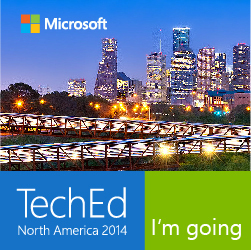 Hi everyone, i am going to attend TechEd North America this year in Houston. Hope to see you there! I think one of the most interesting things when writing PowerShell scripts, is to make the results appear in a nice chart or couple of them. If you are going to show disk space info, nothing more than a nice chart will worth looking at. If you are sending a report to your management, nothing will take their attention more than charts. I love getting charts as a high level output, with more tables and data for extra details.